Our forefathers thrived for many years under difficult moments because they cherished free press and freedom of expression. Banning newspapers simply because we disagree with them and boycotting them on the basis of believing that our conception of truth is absolute really poses a real threat to our democracy. Even when we expressed utmost anger against a BBC Journalist in a Press Conference incident which we later apologized for, we never took a decision to ban the BBC or the Journalist from our Press Conferences, because we need to protect everyone space to disagree. 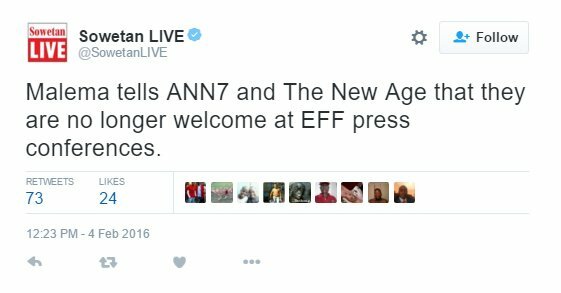 Does Julius Malema pose a real threat to our democracy? Julius Malema seems to think so.